EA Candles Tail build up the tree of the tree of the previous tree for the command to give the command. Candle's previous character (such as the Doji candle) will be found for the trader at the best price or low of the field. 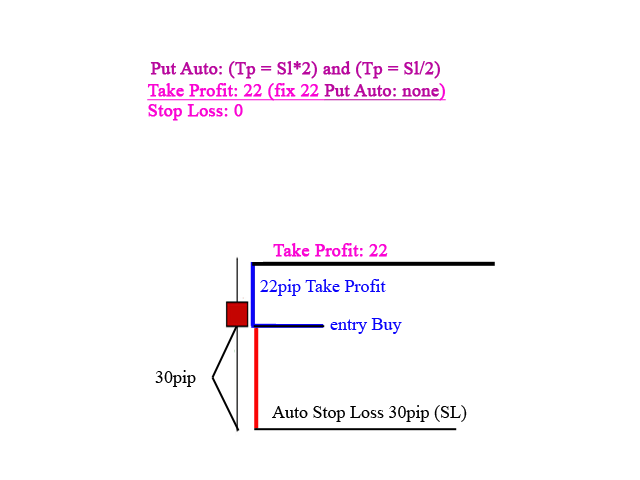 Auto Lots Size - Number percent manage lots size for martingale. If you do not want to use it, fill it out with 0 (zero). 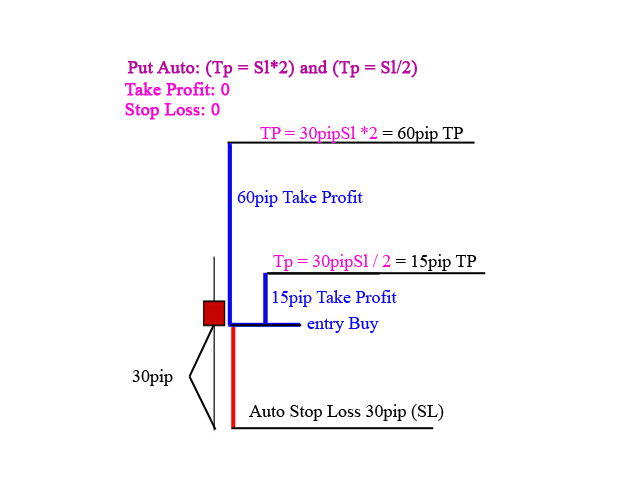 Put Auto - Selects two option: (Tp = Sl*2)/(Tp = Sl/2) (Auto set Take Profit(Tp) and auto set Stop Loss(Sl)). Take Profit - Take profit value. If you want set auto input 0(zero), will auto accounting from Put Auto. Stop Loss - Stop loss value. If you want set auto input 0(zero), will auto accounting from Put Auto. Tail Candle - Number distance tail candles. Tail Candle Reverse - Number percent distance tail candles. 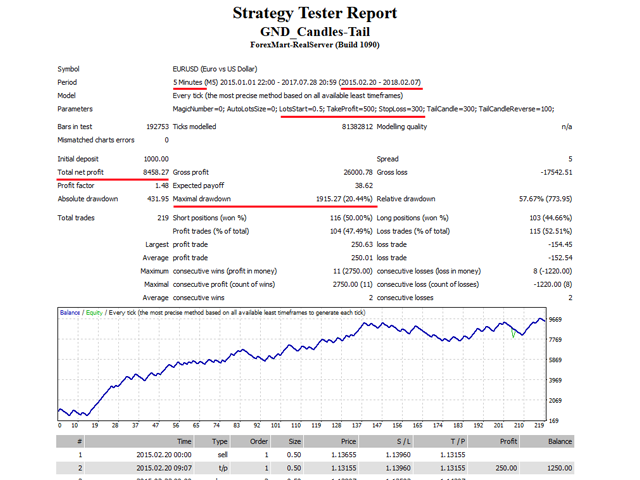 Time Frame - Selection time frame trading: 1 Minute/5 Minutes/15 Minutes/30 Minutes/1 Hour/4 Hours/1 Day/1 Week/1 Month.